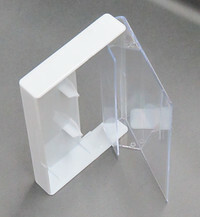 Audio cassette cases and other packaging. Please contact us for special requests. 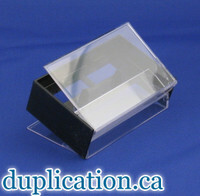 Make sure to click on the item to see lower wholesale prices. 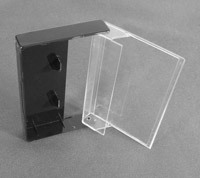 A high quality cassette box with a black back. 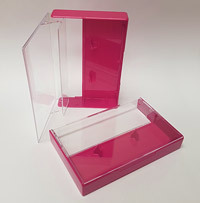 A rare style of cassette box with no posts inside, useful for other objects besides cassettes. 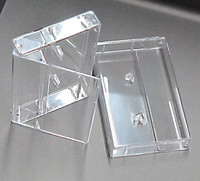 400 high quality, totally clear cassette boxes. 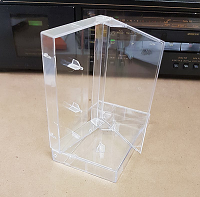 A high quality, totally clear cassette box. 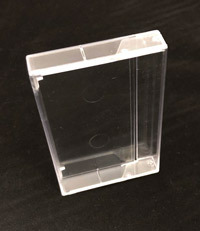 100 high quality, totally clear cassette boxes. 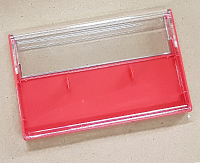 Audio cassette Norelco case with a red back (like Pantone 185). 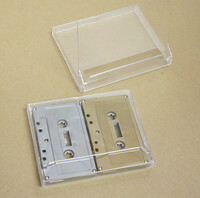 Audio cassette Norelco case with a tinted red back. 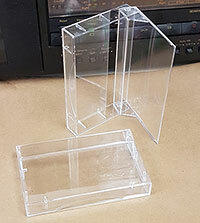 100 double cassette boxes to hold 2 audio cassettes side-by-side. 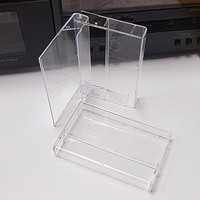 A double cassette box to hold 2 audio cassettes side-by-side. 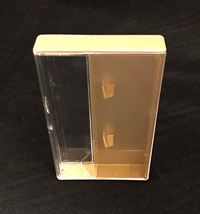 Audio cassette Norelco case with both front and back tinted Fluorescent-Orange! Glows under black lights! 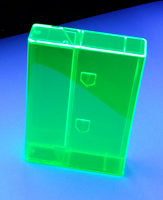 Sea-green Norelco cassette boxes. 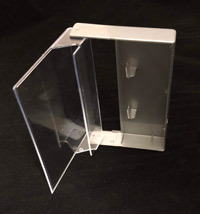 Click to view lower wholesale pricing.